Members of the ‘NEVER AGAIN’ Association have actively promoted the ‎message of respect for diversity through a series of international meetings in the run-up to this year’s International Day Against Fascism and Antisemitism. 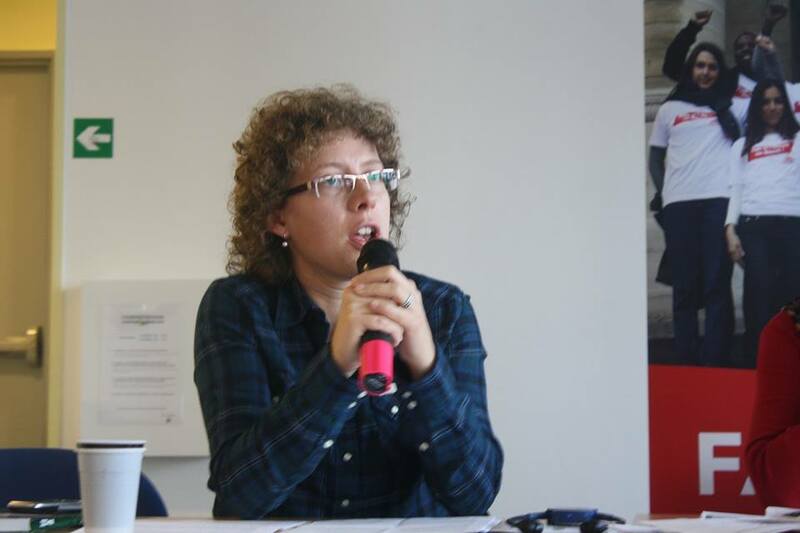 On 26-30 October, Anna Tatar repeatedly presented the current activities of ‘NEVER AGAIN’ in the field of hate crime monitoring at the ‘United for Equality’ forum held in Paris. The meeting was convened by Les Maisons des Potes with the participation of anti-racism NGOs from 16 European countries and it featured presentations by several candidates for the French Presidency who pledged their support for anti-racist policies. 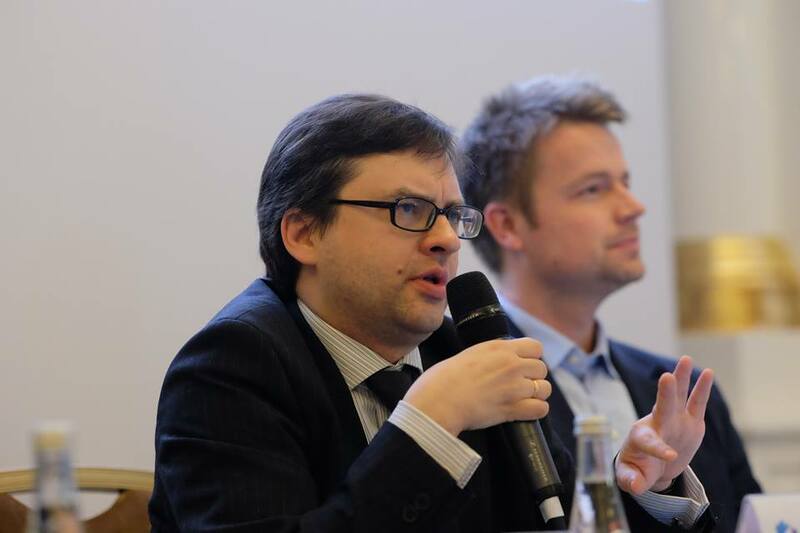 On 1-2 November, ‘NEVER AGAIN’ representative Rafal Pankowski spoke at the Moscow International Conference on Counteracting Antisemitism organized by the World Jewish Congress, the Russian Jewish Congress, and Moscow city authorities. He led the discussion on countering racism and xenophobia in sports and co-chaired a session on ‘Authority, society and antisemitism’. Other speakers at the conference included, among others, WJC President Ronald Lauder, US State Department Special Envoy to Monitor and Combat Anti-Semitism Ira Forman, Levada Centre director Lev Gudkov, film director Andrei Konchalovsky, and former chess champion Anatoly Karpov. – ‘I believe chess is largely racism-free today, I want to support your efforts and wish you every success. I hope you will manage to remove hatred from all the sports, including football’ – said Karpov during a meeting with ‘NEVER AGAIN’ members. Several days earlier, Rafal Pankowski had attended the International Sports Forum held in Dobrograd (Vladimir region), on the invitation of the Office of the United Nations High Commissioner for Human Rights and the Russian Sports Ministry. The experiences of the ongoing ‘Let’s kick racism out of the stadiums’ initiative were discussed – the first campaign against racism in sports in Central and Eastern Europe, initiated by ‘NEVER AGAIN’ founder Marcin Kornak already in the mid-1990s. The ‘NEVER AGAIN’ Association implemented the ‘RESPECT Diversity – Football Unites’ project in the lead up to the 2012 European Football Championships in Poland and Ukraine. Other recent events where ‘NEVER AGAIN’ activities were presented include the ‘Authoritarianism and Nationalism in Europe’ conference held at the Polish Teachers’ Union in Warsaw on 5 November. On 8 November, a ‘NEVER AGAIN’ Association representative participated in an expert session about populism in Europe (and in the Americas) hosted by the Friedrich Ebert Foundation in Berlin. On 9 November, ‘NEVER AGAIN’ members Stanislaw Czerczak and Anna Tatar conduct an anti-discrimination training for employees of the Royal Bank of Scotland in Warsaw. – ‘We are happy to be invited and promote the NEVER AGAIN message to various audiences’ – said Stanislaw Czerczak. The International Day against Fascism and Antisemitism is an annual commemoration of the ‘Kristallnacht’ pogrom that occurred on 9 November 1938. The ‘NEVER AGAIN’ Association is a Warsaw-based Eastern European anti-racist educational and monitoring organization established in 1996.